Dr. Emily Kelly has ten years of experience as a local emergency room physician. After completing her Bachelor of Science in Human Physiologoy and Botany at the University of Toronto, she obtained a Masters in Science in Health Professional Education from Western University. Dr. Kelly then did her training as a medical student and resident as the Schulich School of Medicine at Western University in London, Ontario. Dr. Kelly also advocates for local green spaces and walking trails. She is a mother of two and is raising her family right here in St. Marys, Ontario. 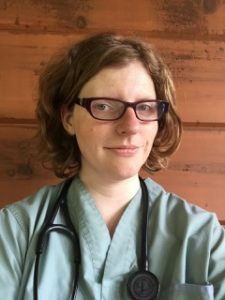 She has a license to practice medicine from the College of Physicians and Surgeons of Ontario and current certification with the College of Family Physicians of Canada.